The graceful charm of hand-crocheted lace can make any occasion memorable. 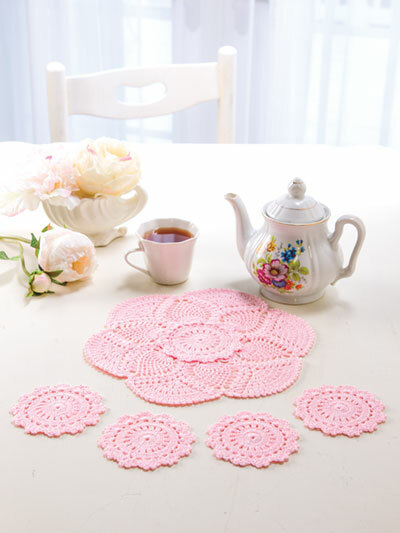 The pieces in this pretty ensemble can be used together as a teatime set or individually as a separate doily and coasters. 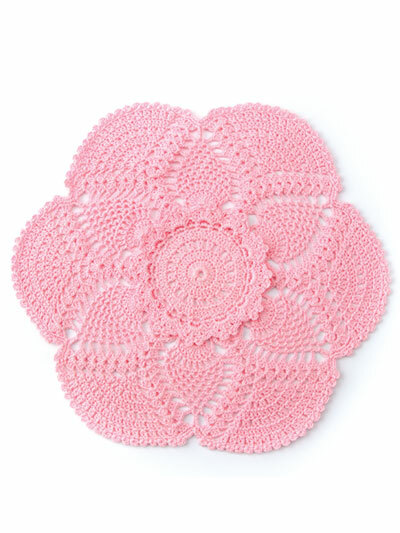 Designs are made with size 10 crochet cotton thread and size 7/1.65mm steel hook. 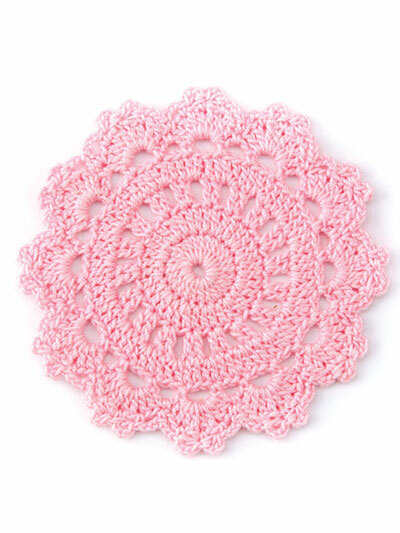 Size: Doily: 11" in diameter. Coasters: 4" in diameter.